“Feminist.” This is how Hugo Chavez presented himself and his Bolivarian revolution. His successor, Nicolas Maduro, followed his example. 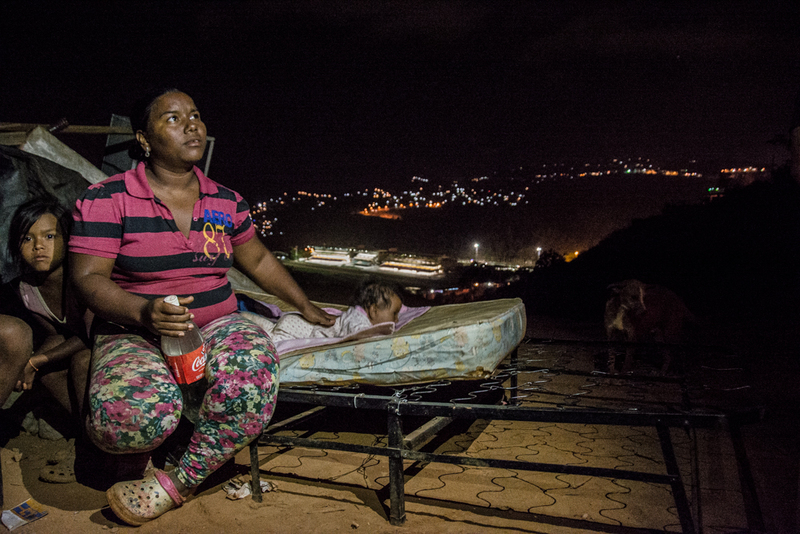 But, what would you say if we told you that throughout Venezuela there is a severe shortage of contraceptives and sanitary pads and that the few available are so expensive that the vast majority of women cannot pay for them? Would you call feminist a government that in almost two decades has done virtually nothing to guarantee women’s political participation and economic independence? Or one that has allowed a sixty-six percent increase in maternal mortality in only one year, remains silent on issues such as abortion, and exhibits the second highest teenage pregnancy rate in Latin America and the Caribbean? You may think we are exaggerating. Well, we are not. It’s been almost nineteen years since Chavez thrust his Bolivarian political project on Venezuela on a platform that promised deep political transformations and social justice. For the first time issues of gender equality made it into the official political discourse and became omnipresent in the government’s narrative. And initially, Chavez kept his word. Early his regime created and/or strengthened programs such as the (now-extinct) Banco de la Mujer (Women’s Bank) and the Ministerio del Poder Popular para la Mujer y la Igualdad de Genero (Women and Gender Equality Ministry). In 2006 parliament passed the Ley Organica sobre el Derecho de las Mujeres a una Vida Libre de Violencia, which was first among second generation legislation on violence against women in the region—legislation that broadened the definition of violence against women to include such activities as sexual and verbal assault, forced prostitution, and trafficking—and was groundbreaking at the time. But this is pretty much as far as the government has gone. Although women’s rights have grown a favorite of official events and speeches, the issue has stalled, and it’s now being used in an increasingly manipulative and deceptive manner subordinated to the regime’s political and ideological agenda. The feminist revolution is no more than an illusion. Chavismo’s brand of feminism, while advocating for gender equality and women’s empowerment, posits that such an ideal is possible only in a socialist state modeled after soviet-era communist regimes rather than after today’s progressive European governments. Feminism, the party line goes, is incompatible with capitalism. How convenient. This means that dismantling capitalist structures is a precondition for gender equality. And that policies and programs that require reaching socialism first subordinate women’s rights goals. Now, we could argue at length about capitalism’s many flaws and its impact on society’s most vulnerable. But there is no evidence to affirm that a socialist state, as it is defined by Venezuelan officials, is a precondition to achieving gender equality. This argument ignores the fact that patriarchy predates capitalism and that its origin has to do with asymmetrical power relations between men and women.—regardless of whether capital and/or the means of production are privately or publicly held. So the ultimate purpose of all actions is on getting women—as many as possible—to work along political and ideological lines in order to establish a socialist state. 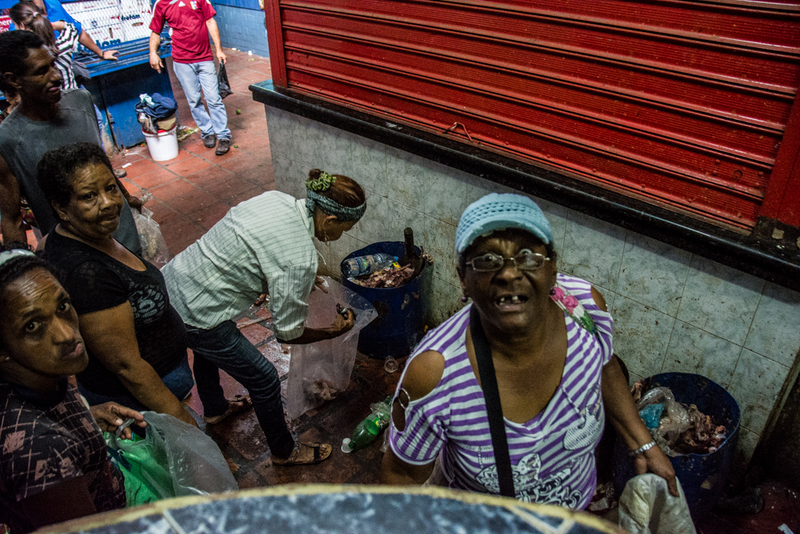 Many of the government-sponsored local participation structures, including the infamous Comites Locales de Abastecimiento y Produccion or CLAPS, in charge of distributing and selling food in communities, are composed mostly of women. And this is where it gets tricky: Many women participate because in extremely difficult socio-economic conditions this is the only way for them to secure an income or food, even if it is not enough to feed the entire family. Gender inequality is reinforced ubiquitously and in ways that are extremely subtle. Instead of challenging women’s traditional role in society—something one would expect a feminist government would do—the official discourse reinforces and promotes a vision in which women are mothers before anything else. Speech after speech and proposal after proposal, the role of women as child bearers and caregivers gets highlighted as if it is the only life option available. The government’s approach to women issues is “assistentialist,” fostering dependence on the state and encouraging only traditional tasks. Above all it favors subordination and passivity. There are no policies or programs in place to help working women combine family and work. In 1999 an article was introduced into Venezuela’s constitution, (the inclusion of Article 88 ) , that did recognize the value of unpaid care work as well as homemakers’ rights to receive social security, but, in a pattern so familiar by now, it has never been implemented. Meanwhile, poverty among women keeps growing: According to official figures, in 2013 for every 100 men who lived in poverty, there were 107 women. And for every 100 men living in extreme poverty, there were 112 women. Four out ten households are headed by a female, and seventy percent of them are women without partners. Women are the first to leave the labor market in order to either line up for hours in front of supermarkets or look after children, the elderly, the sick and/or the disabled; they are the first to walk around in search of medical attention or scarce medicines for themselves or their families; and many work odd jobs where they can combine work and family but lack social protection and are vulnerable to exploitation and disease. Then there is the issue of existing policies themselves. Most women’s rights policies are poorly drafted and even more poorly implemented. They lack consistency, and sometimes they are no more than declarations of good will that are later forgotten. For example, a plan to combat media violence against women announced by President Maduro in late 2014 was never mentioned again, and the Plan Nacional de Parto Humanizado (National Plan for Humanized Childbirth), which was recently launched, has still not had its text, including its objectives and framework for implementation, made public. Furthermore, women are underrepresented in government. In the meantime, those of us—feminists, NGOs and women’s rights groups—who disagree with the government’s view or who challenge it for not really addressing these situations that, ultimately, violate Venezuelan women’s most basic rights—are excluded from all government-led initiatives. Those who dare to take their disagreement and discomfort to the streets are met with repression including at the hands of all-female riot squads. Women make up only twenty percent of parliament, which is below regional and world averages. Maduro’s cabinet is far from the fifty-fifty split a feminist government would brag about. Out of thirty-one cabinet ministers only five are women. Finally, the 2009 Ley Orgánica de Procesos Electorales (electoral processes law) did not include the compulsory quota of thirty percent women that was part of earlier legislations. While nine million voters in Venezuela are women, they occupy less than twenty percent of all publicly elected positions. Overall, a combination of political and ideological bias, incompetence, and negligence in the context of the serious humanitarian emergency Venezuela is facing has left Venezuelan women more vulnerable than ever before to poverty, violence, hunger, malnutrition and poor health. So next time you hear that Venezuela’s revolution is feminist, you know it is simply not true. 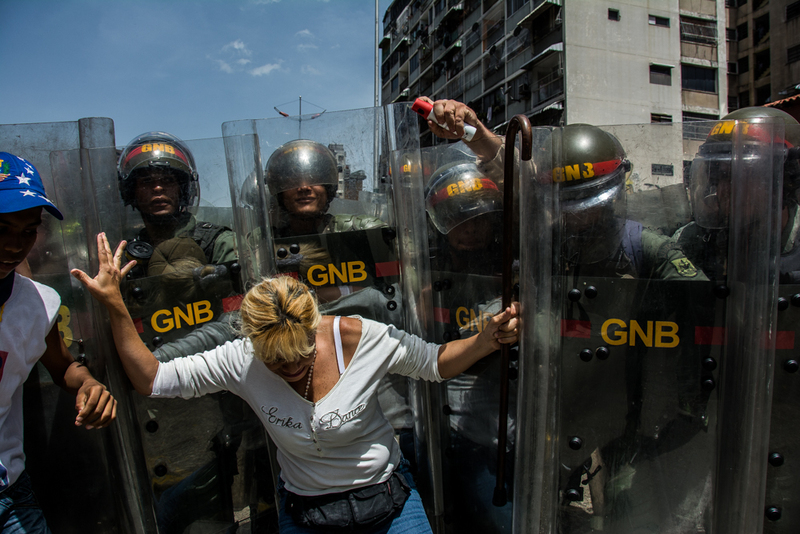 For more information about women’s rights in Venezuela, read here.